Hello. I am the Chris Lumzer (A.K.A The Reverend Godfather) and I am the main host and front person for the geek related podcast The Long Coat Mafia. 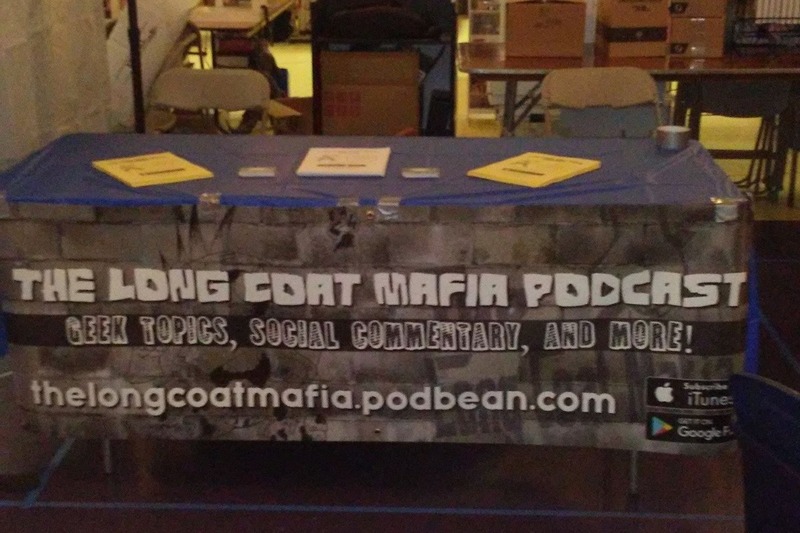 Over the past 3+ years I have been putting out content for our show on not only social media such as Facebook, Instagram and Twitter, but our weekly audio episodes found on thelongcoatmafia.podbean.com. Thus doing so the laptop I use for show use is finally showing it's age and is not working like it should. So due to me living well underneath the poverty line the funds raised will not only help get a decent brand new laptop, but also a decent DSLR camera and a Gopro to help get better videos and photos for not just Facebook and Instagram but Youtube as well. Once the new laptop and cameras are acquired I will be doing an unboxing video to show not just you who may donate, but to those who listen to the show and follow the show on social media. Anything donated pass the listed amount there will be a discussion as to what will be done, (I.E. back up equipment, funds to go to shows that are further away to get more content, etc.). I plan on being very transparent with all of you as well as those who both listen and follow the show.